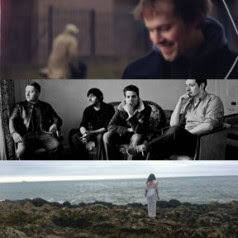 A trio of outstanding Irish musicians gather head south for the beautiful fishing village of Kinsale this Saturday for a special event on the coast of Ireland. Rhob Cunningham, Little Bear and Slow Skies have all been invited to county Cork to partake in an evening of music by Kinsale Arts Festival as part of their annual and very colourful celebration of art, music, theatre and more. For a preview of the delights in store for Friary Church on Saturday evening, tune in to BBC2 at 10pm this evening to catch Derry folksters Little Bear's recent peformance for long-running RTÉ music show Other Voices. For an even tinier snippet of that preview see the video below.